Welcome to my summer project. 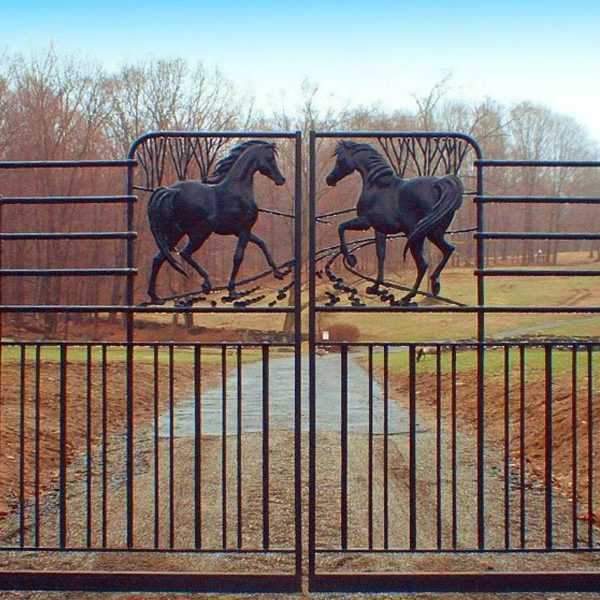 We are thrilled with our new fence and the driveway gate is the crowning glory. We finally got all the pieces and parts installed this weekend and it is just wonderful. 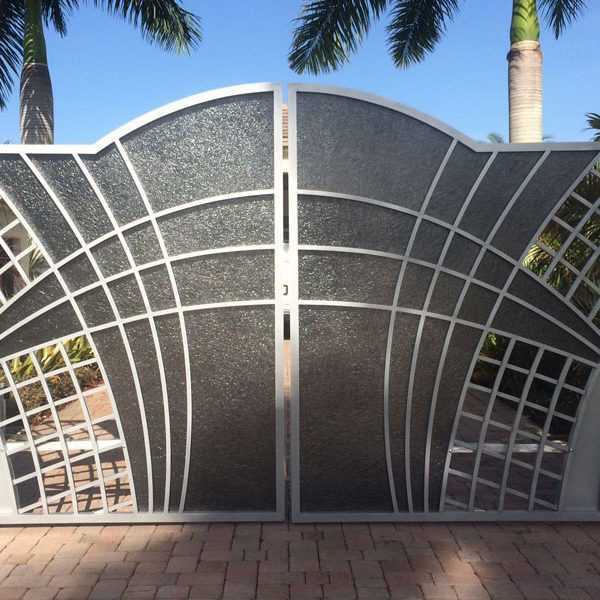 We can also be considered a driveway iron gates design company as we produce a full line of custom fencing for residential, commercial and industrial uses. 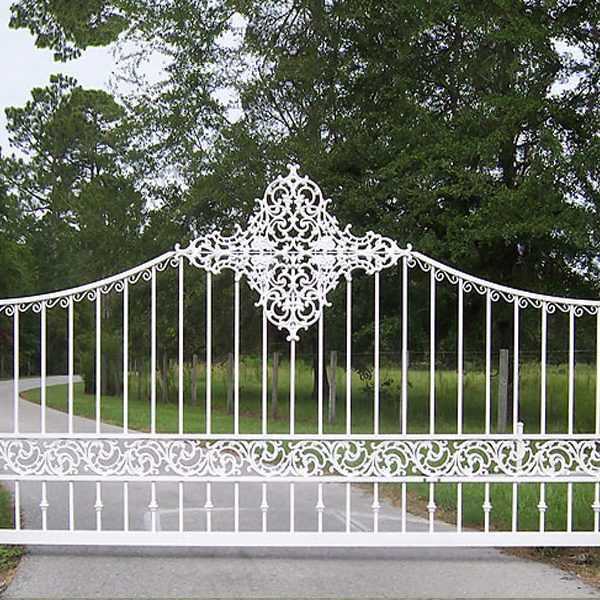 We produce custom iron gate for the same low prices as stock designs and specialize in large orders. 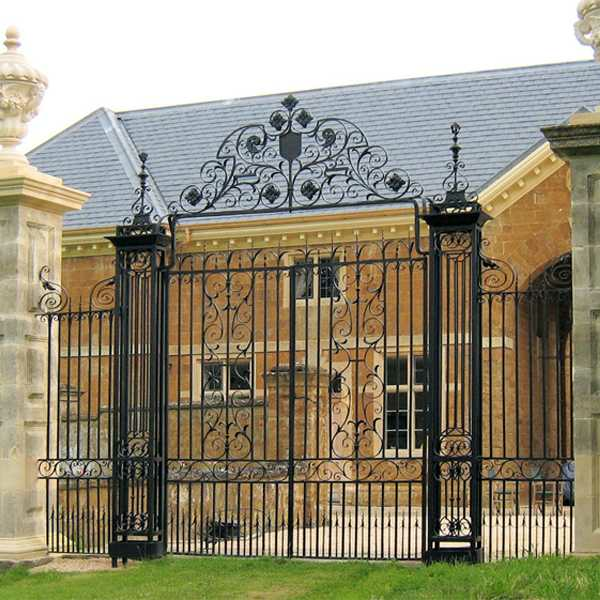 Our traditional styled driveway and estate gates are designed to suit any style of property. 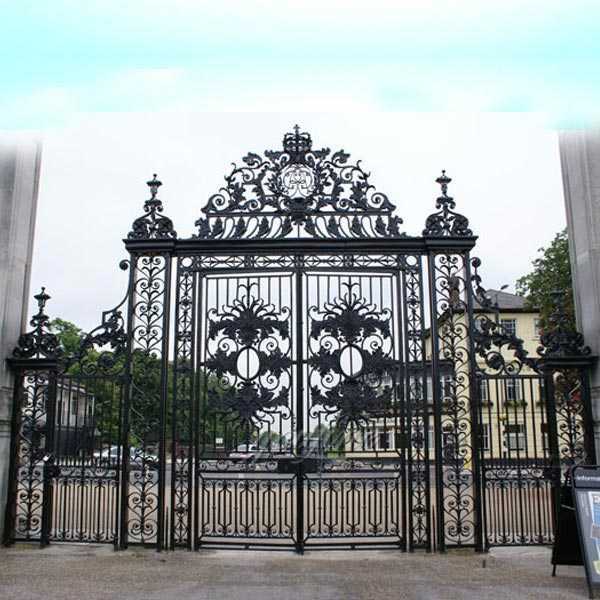 With a large range of gate designs to choose from, you can be sure of finding your perfect gate at YOU FINE ART SCULPTURE.So tell us your requirement about iron product,we could be custom made any iron garden furniture ! 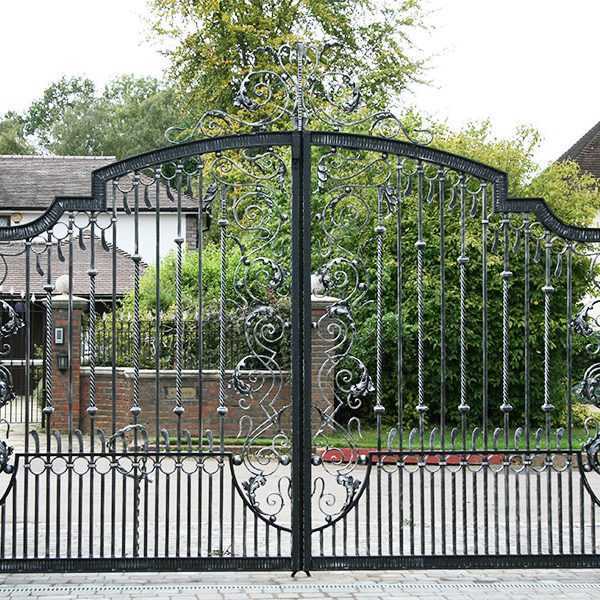 All wrought iron driveway gates shown here can be either swing gates or sliding gates. 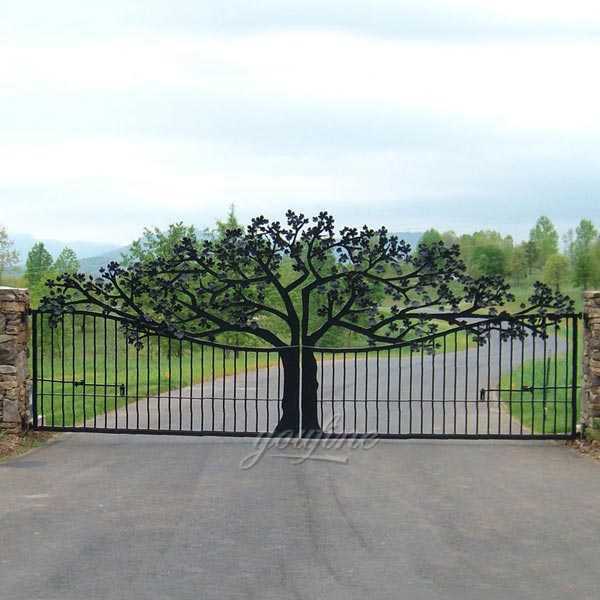 We recommend using swing driveway gates whenever possible. 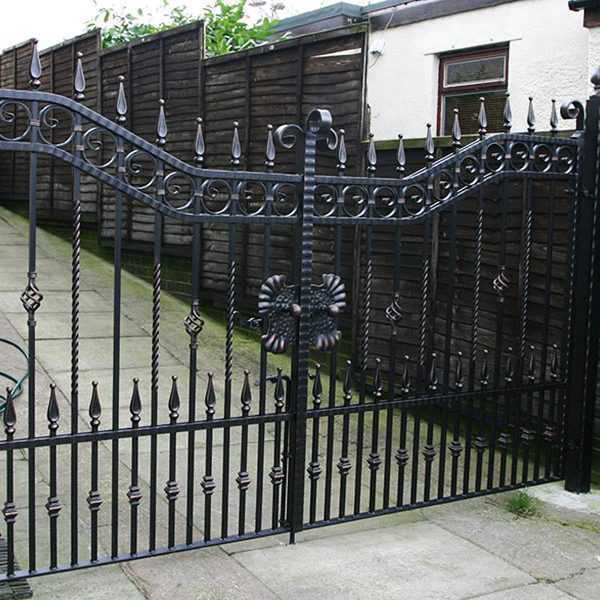 Swing gate installation is easier than sliding and typically costs less. 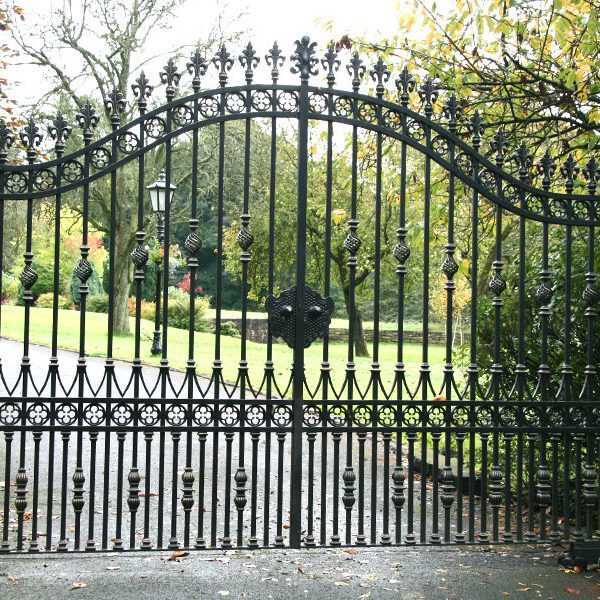 Certain conditions prevent successful swing gate operation. 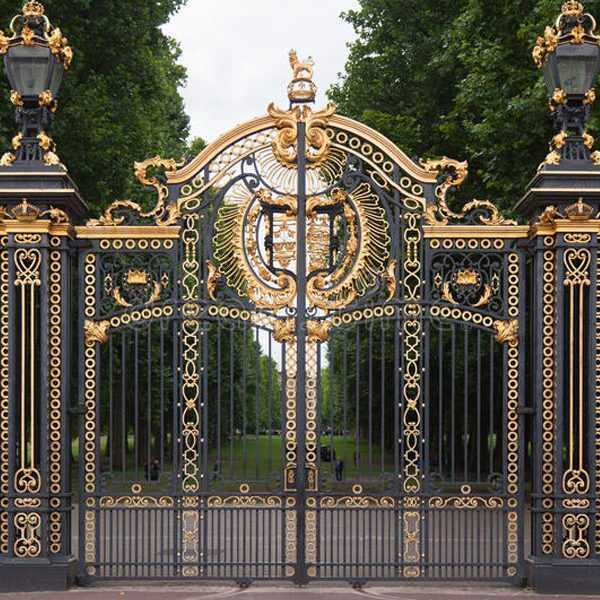 We do not stock finished wrought iron double swing gates and fence in all colors, styles, and size combinations at all times. 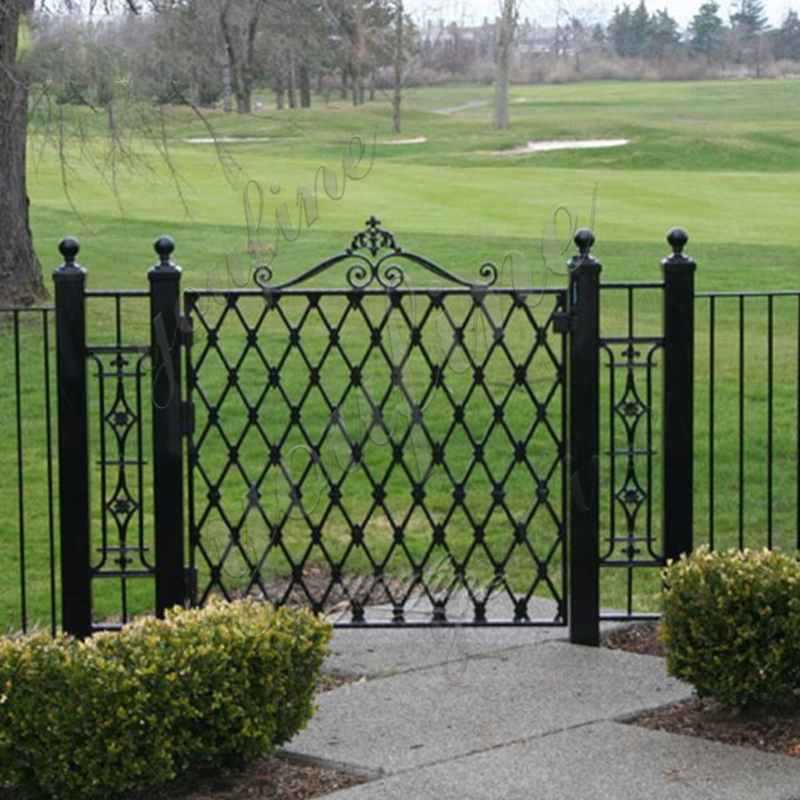 Some color (non-black) gates may require several weeks before shipment. 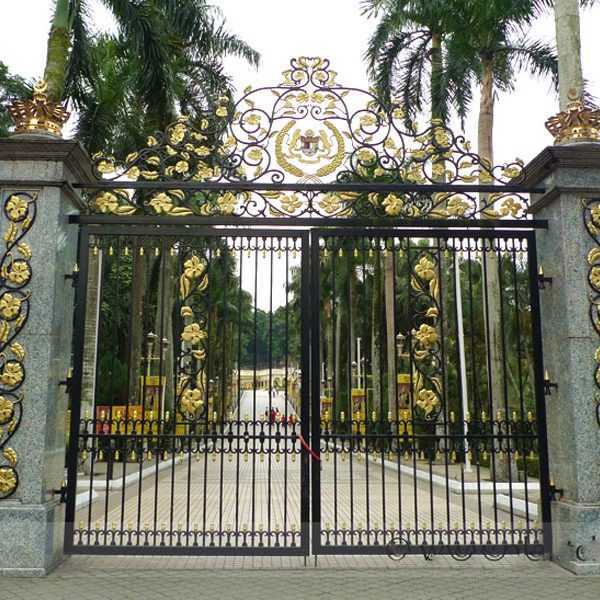 Please call early and plan your project accordingly.So if you have some requirement or inquiry about double swing gates,please contact with us freely ! 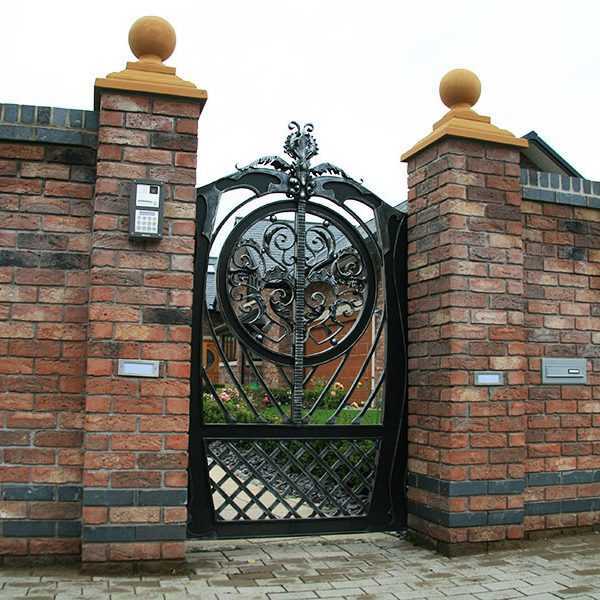 Wrought Iron Entrance Gates Will Undoubtedly Add A Great Appeal To Your Home. 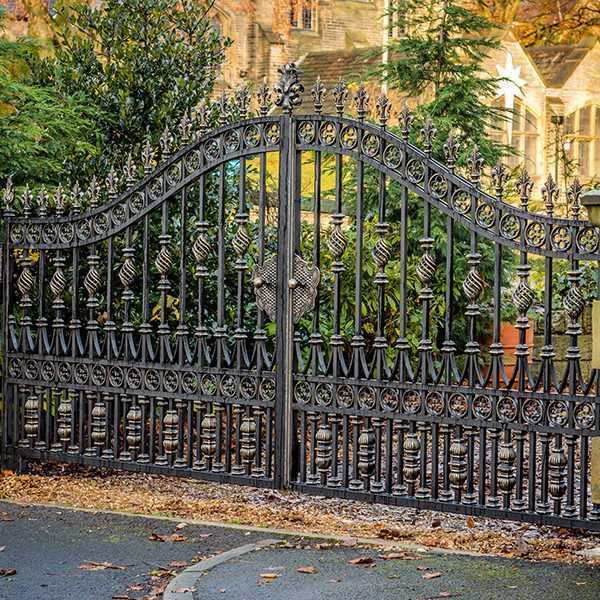 It Will Be A Perfect Centerpiece To The Exterior Of Your Home.Having Wrought Iron Entrance Gates Will Be The First Thing That Someone Entering Your Home Will See. 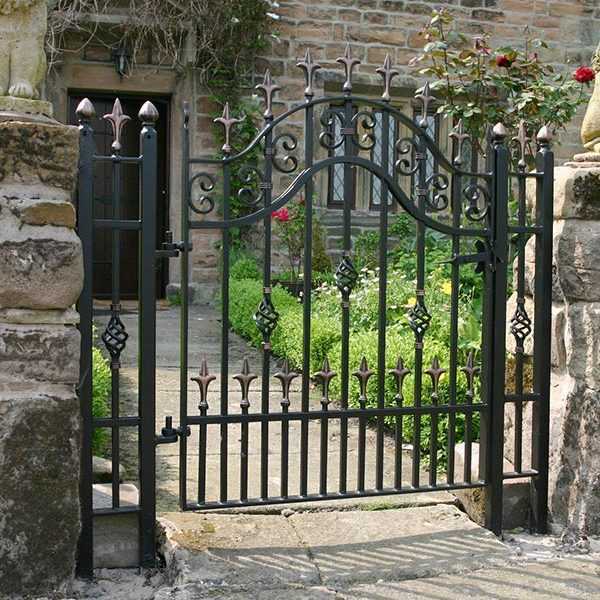 If you are not fully satisfied with the wrought iron driveway gates, garden door, fence, hardware or equipment, you can restore the goods (not customized/order) within 30 days to obtain a full cash refund or replacement. 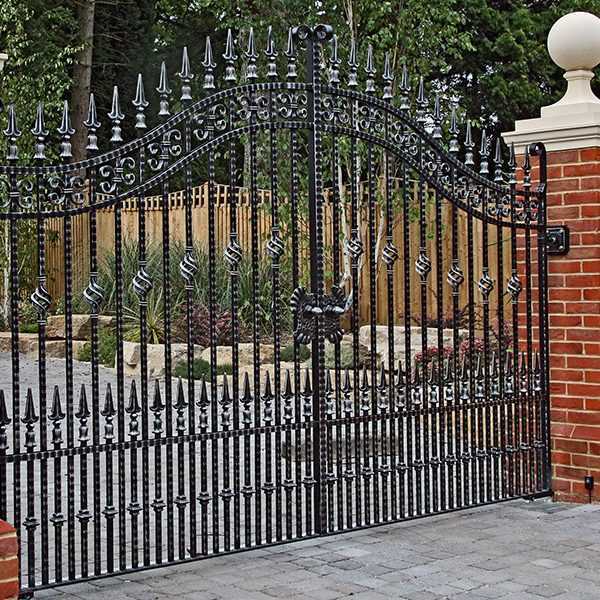 We can also be considered a custom single side entrance wrought iron gates company as we produce a full line of custom fencing for residential, commercial and industrial uses. 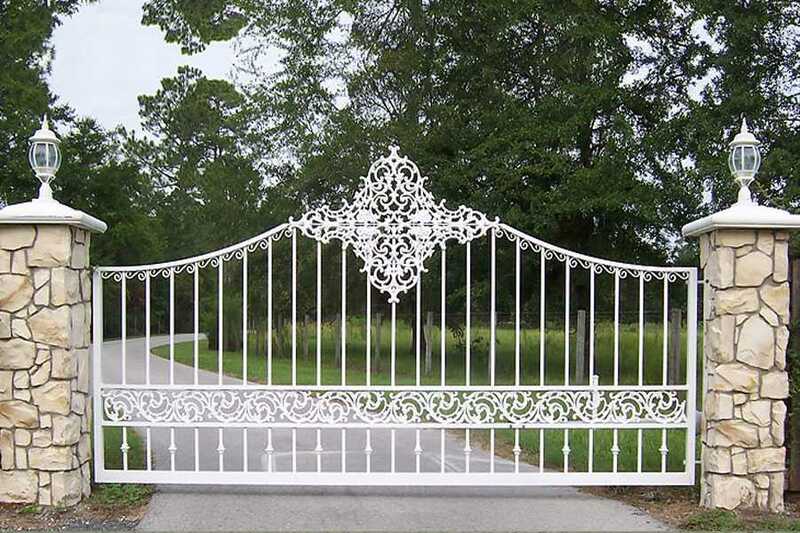 We produce custom iron gate for the same low prices as stock designs and specialize in large orders. 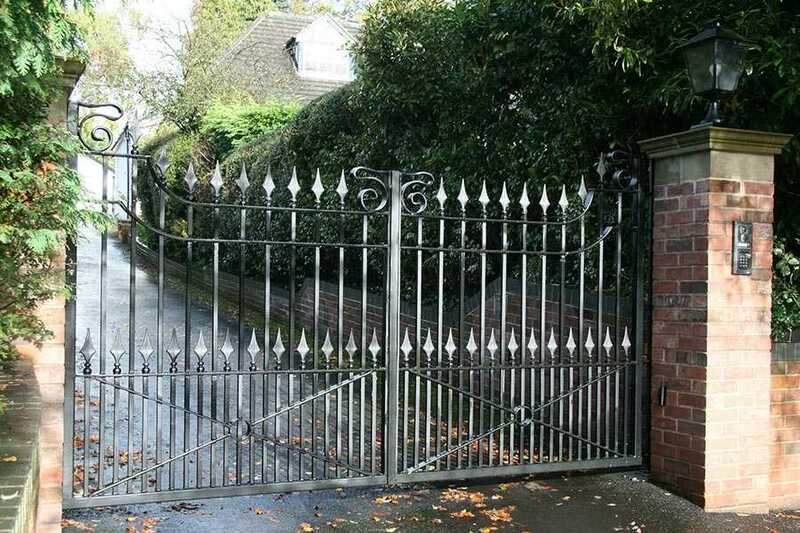 We are very pleased with swing gate.We appreciate that our property looks so good. 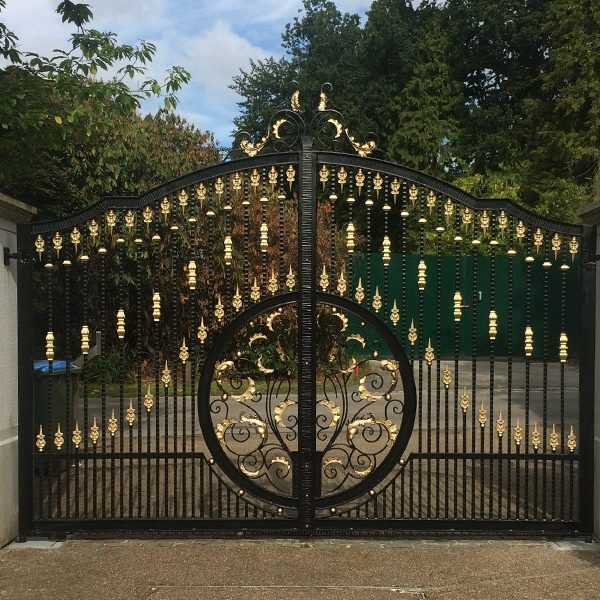 We installed the gate ourselves.In search of our swing gate, we searched the Internet, and we were delighted to find a stunning wrought iron gates. 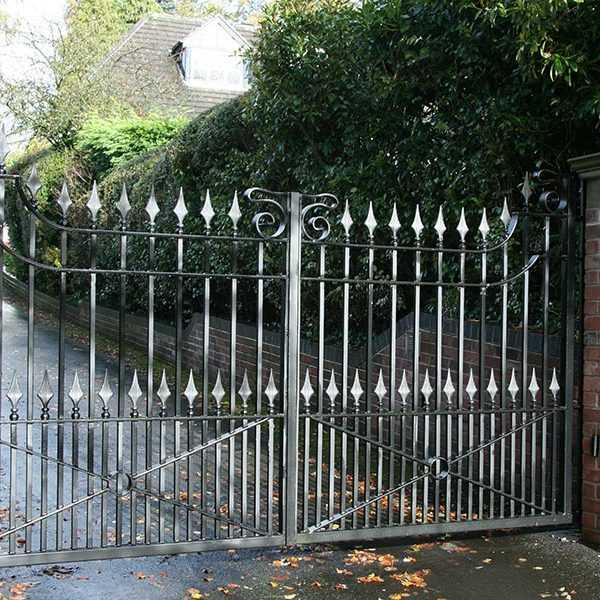 This is done to reduce installation time and build a metal garden wrought iron entrance gates that fits the size you want.The advantage is that the driveway wrought iron gate can be properly completed to provide the best corrosion protection and service life. 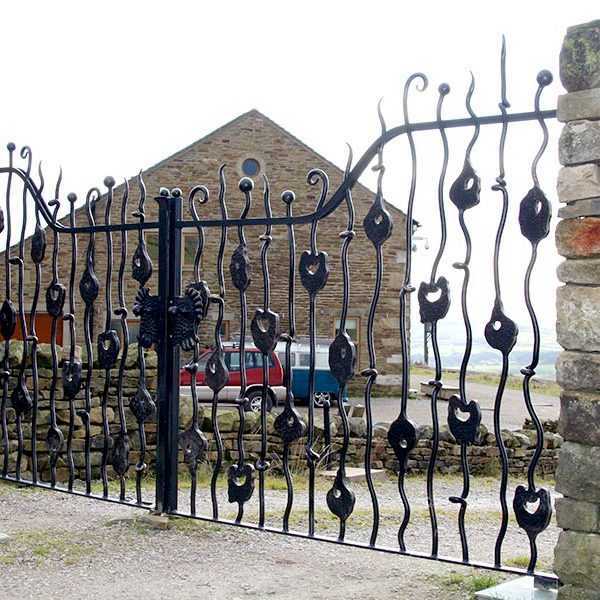 No one makes wrought irons swing gates like we do in YOU FINE ART SCULPTURE! 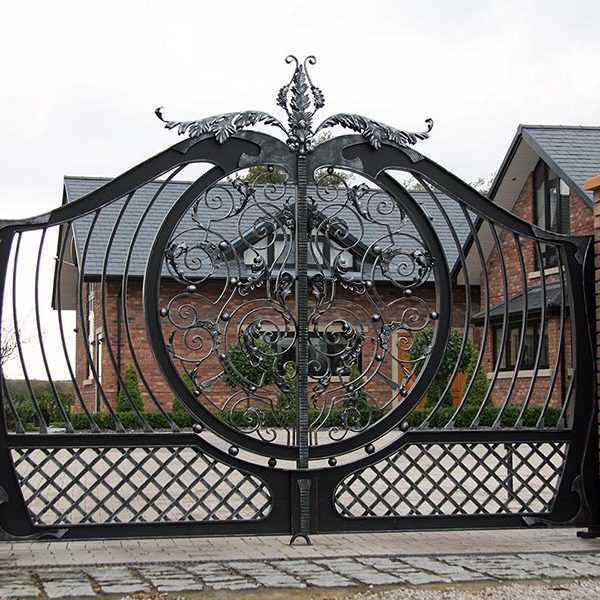 Our talented team of designers continues to go beyond their own designs and make these seemingly impossible things come true through amazing iron art. 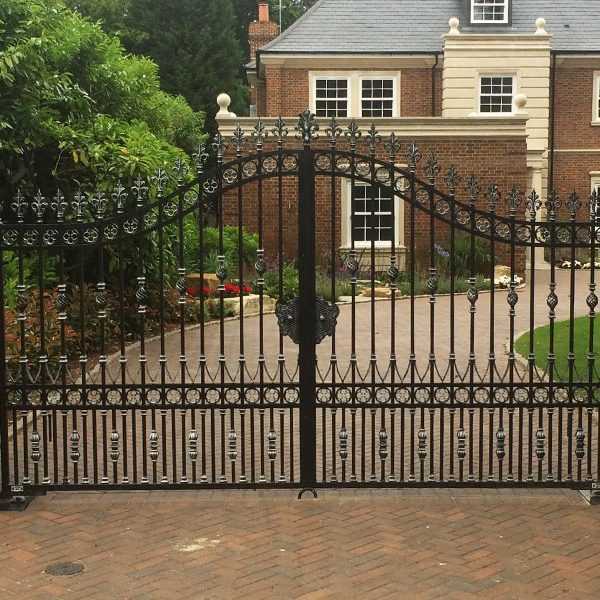 How to choose A Wrought Iron Entry Gates Design?This is a very important consideration when choosing a gate. 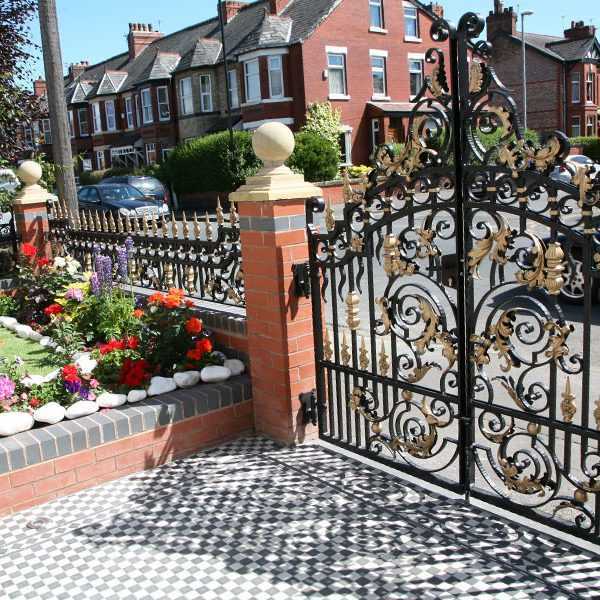 Not only do you have to choose a style that compliment your family, but in some cases you have to choose your neighbors. 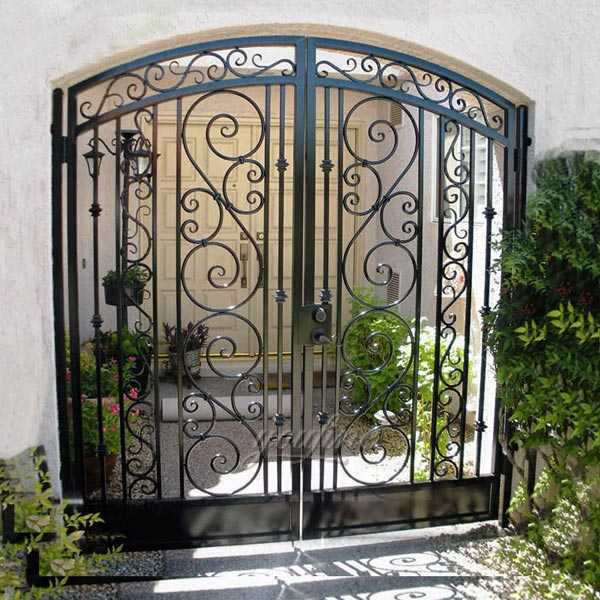 Wrought iron weathers beautifully, and will last for years with little maintenance.Swings driveway iron entry gates can be matched with entry ways, interior and exterior gates, wine cellar gates and other landscape design elements like stone, masonry, wrought iron fences and iron patio furniture.